Can you say no to a living god? The answer for Blue Heron, former matron of the Four Winds Clan, is not really. She and the master thief Seven Skull Shield are sent to far off Cofitachequi, for an old threat has arisen on the other side of the great eastern mountains. Journeying down the Mississippi to the Tennessee, and then upstream to the Appalachians, Blue Heron’s party must not only face the treacherous river, festering resentment in the newly formed colonies, and hostile barbarian tribes, but a more sinister threat travels among them. A man with his own agenda, and he will do anything to destroy Blue Heron. “He is waiting for you.” Piasa’s words sounded so crystal clear in the night. They snapped Night Shadow Star out of a deep sleep. The Spirit Beast’s mouth might have been but a finger’s width from her ear. W. Michael Gear holds a master's degree in archaeology and has worked as a professional archaeologist since 1978. He is currently principal investigator for Wind River Archaeological Consultants. Kathleen O'Neal Gear is a former state historian and archaeologist for Wyoming, Kansas, and Nebraska for the U.S. Department of the Interior. She has twice received the federal government's Special Achievement Award for "outstanding management" of America's cultural heritage. 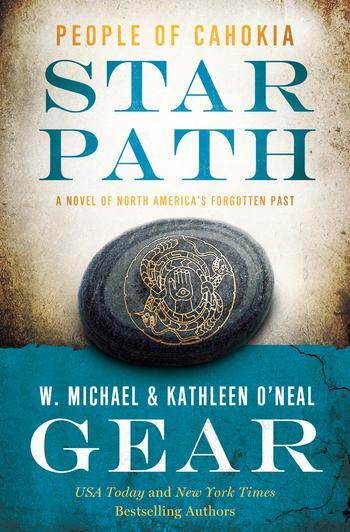 The Gears's North America's Forgotten Past novels include Star Path, Moon Hunt, Sun Born, and People of the Songtrail.